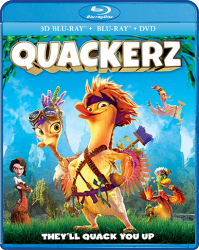 Product Note: The digital copy for this release is no longer available. 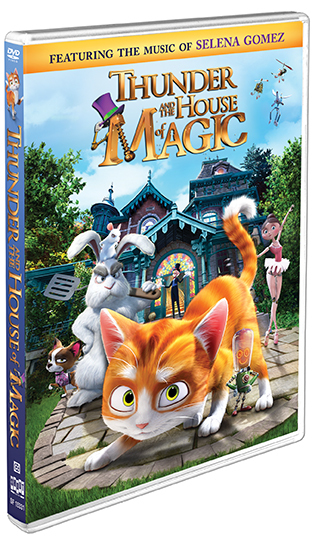 A little lost cat discovers a marvelous and mystical new home in Thunder and The House of Magic, an enchanting animated film for the whole family! 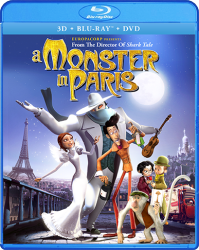 Seeking shelter from a storm, a young and abandoned cat named Thunder sneaks into a mysterious mansion owned by Lawrence, a retired magician. 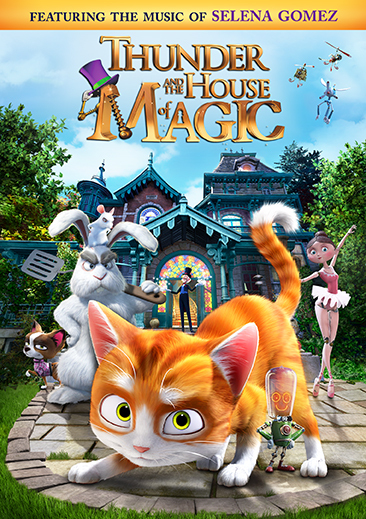 The fantastically strange house plays host to all of Lawrence's animal friends, including Jack the Rabbit and Maggie the Mouse, and a dazzling array of automatons and gizmos, making it a little tough for Thunder to fit in. 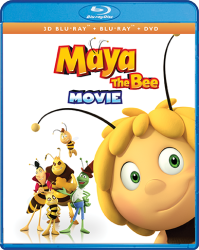 But when trouble strikes, Thunder and the gang must pull together to defend their home using an array of delightfully spooky strategies. Filled with laughter and adventure, Thunder and The House of Magic is a wonderful tale that you and your little ones will love! 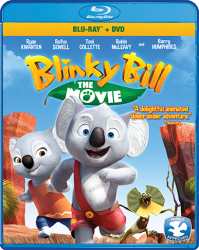 Making of Featurettes and More!